The Standing Committee of the Chinese National People’s Congress (NPCSC) has approved the Express Rail Link’s controversial joint checkpoint arrangement following a unanimous vote. The plan was passed on Wednesday despite months of strong opposition from pro-democracy groups and scholars, who call the arrangement a ceding of territory to China and a potential violation of the Basic Law. Article 18 of the mini-constitution stipulates that Chinese laws cannot be implemented in Hong Kong except those listed in Annex III, such as the national flag and emblem laws. 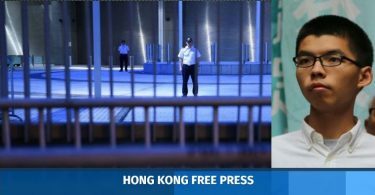 Hong Kong will effectively give up its jurisdiction across a quarter of the new West Kowloon terminus where immigration procedures will be performed by mainland law enforcement agents. NPCSC Deputy Secretary General and Basic Law Committee Chair Li Fei dismissed criticism that the mechanism damages Hong Kong’s rule of law. 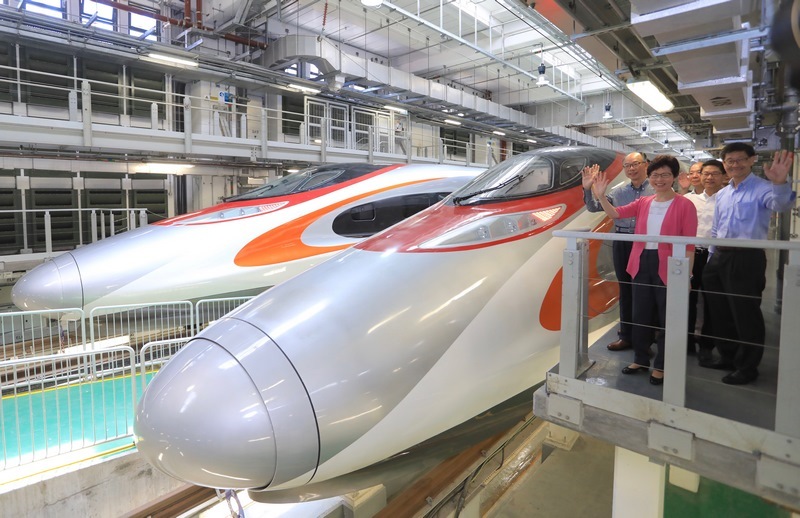 Stating that the plan complies with the Basic Law, the NPCSC said in an explanatory document that Article 18 applies to Hong Kong residents, while the application of national laws in the mainland section of the West Kowloon terminal targets railway passengers inside that area. It stressed that the mainland port of the West Kowloon terminal falls under the jurisdiction of the Chinese government. It also stated that existing rights and freedoms enjoyed by Hongkongers would not be affected by the arrangement. A number of Basic Law provisions were also cited as the legal basis for the Hong Kong government’s power to sign the checkpoint agreement with Chinese authorities. Li Fei. File Photo: GovHK. They included Article 2, on Hong Kong’s high degree of self-autonomy; Article 7, on the power to manage its own land; Articles 22 and 154, on the power to manage border controls; and Articles 118 and 119, on the power to develop the economy. Hong Kong NPC delegate Maria Tam also said last week that local courts could not challenge the plan once it is passed by the NPCSC, saying that its decisions are “binding” on them. 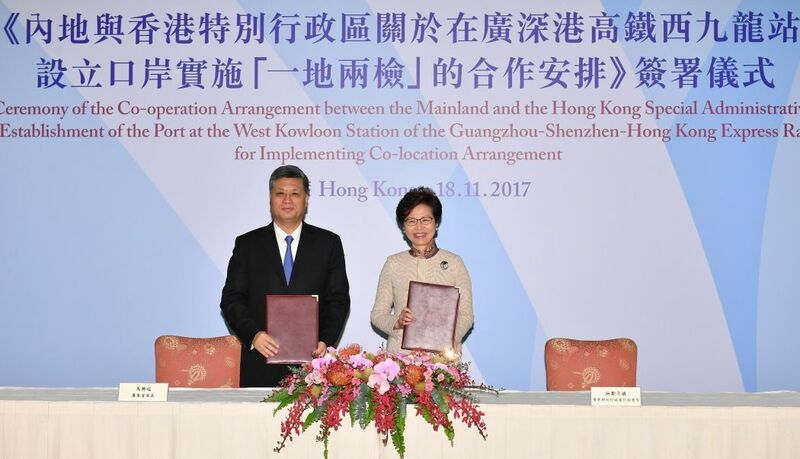 The Hong Kong government said earlier that the joint checkpoint mechanism would be implemented in three stages: it would first sign an agreement with its mainland counterpart; the NPCSC would then approve the arrangement; and finally, Hong Kong’s legislature would enact the decision through local legislation. Wednesday’s decision marked the completion of the second stage. The first stage was completed last month, though the government refused to make the agreement available to the public until Congress approved it, citing “respect” for the top legislature of China and its procedures. The final step – making the decision part of Hong Kong’s law – is expected to take place next year. 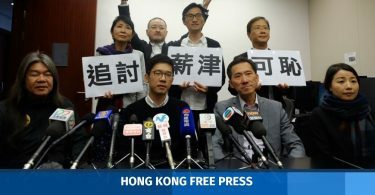 The procedure was criticised by the pro-democracy camp for bypassing the Legislative Council and for failing to consult the public on the matter. 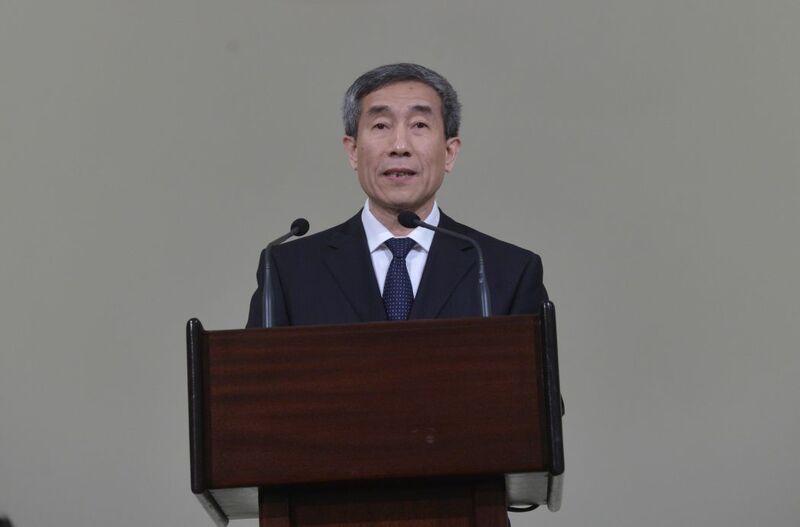 But Li Fei said Wednesday that opposition views had already been taken into account during the NPCSC meeting.